March with its legendary ides is upon us. The happy 21st century portent, barring simple twists of fate, is that spring is nearly here and soon we’ll all be basking in the rays of a warmer sun. Another winter has passed and we have shrugged off its icy clutches once more. The outdoor hockey rinks must melt but buds will burst into bloom. Celebration Day is coming and with it, mixed emotions. What constitutes news in this grand new digital age has been shocking: Apparently Hollywood movies and video games set in earlier eras may not be entirely historically accurate. Members of Canada’s august Red Chamber, while not homeless, aren’t entirely certain where they actually reside and have found travel allowance expense forms challenging to accurately complete. And that’s understandable. Travellers of both time and space will remember ’70s media seizing and dissecting any cryptic pronouncement issued by the politburos in Moscow and Peking during the Nixon days of detente. So it appears that the man who took almost three decades to find his place and peace as a roots singer has opened the door a crack to a Led Zeppelin reunion. Everybody, local deejays, Rolling Stone Online, the papers, chat boards and ordinary average people, was all over this. A possible 2013 Stones tour and the new Bowie album (due very soon) were no longer trending. Plant’s motivation is pure speculation. In interviews he tends to come across as a prickly aesthete and purist, qualities we want in our heroes. There’s this sense that you could spend a mind-blowing afternoon with him in your town, popping into record shops, book stores, art galleries and museums but you’d never get a word in edgewise. In the wakes of Raising Sand and Band of Joy, the singer is obviously secure with his commercial and artistic reinvention. He’s no longer just the guy who used to sing for Led Zep. And then there’s the remarkable Celebration Day set from the one-off London O2 show in 2007 and Plant must realize there’s still magic in the air. A viewer revels in the smiling eye contact among the band’s members almost as much as the concert itself which includes an utterly transcendent version of Kashmir. Jimmy Page remains rock’s best lip purser this side of Mick Jagger. It’s hard not to be reminded of the exclusive camaraderie of hockey players after a particularly lovely goal, the giddy grins and the gauntlet bumps. Everybody immersed in the high, the tops of their games; lifetime members of elite clubs that few of us have any hope of ever joining. If Led Zeppelin doesn’t reform and tour in 2014, the teetering Jenga stacks of cash left on the buckling table will burst the seams of the duffle bags in a dozen heist flicks. And what of us who may buy the tickets? Our loves and loyalties were forged at a young age and Led Zeppelin back then was always a tough ticket. They were not easy to see. Tours were infrequent. They seemed to come down from Asgard when they felt like it. A lot of us are doughy and diabetic now, as plodding as some of Led Zep’s more tedious sludge. We buy our drugs in stores, perfectly legally and often through insurance plans. Does anybody really want to go back? Do any of us really need to hear Stairway to Heaven again and revisit lights out at yet another socially disastrous high school dance? ‘They’ used to say that tough times don’t last but tough people do. ‘They’ don’t say that anywhere anymore, not on Wall Street nor Bay Street, not on Oprah. The death of a cliché is the death of a once universal truth. Our times warrant a heavy injection of the blues. 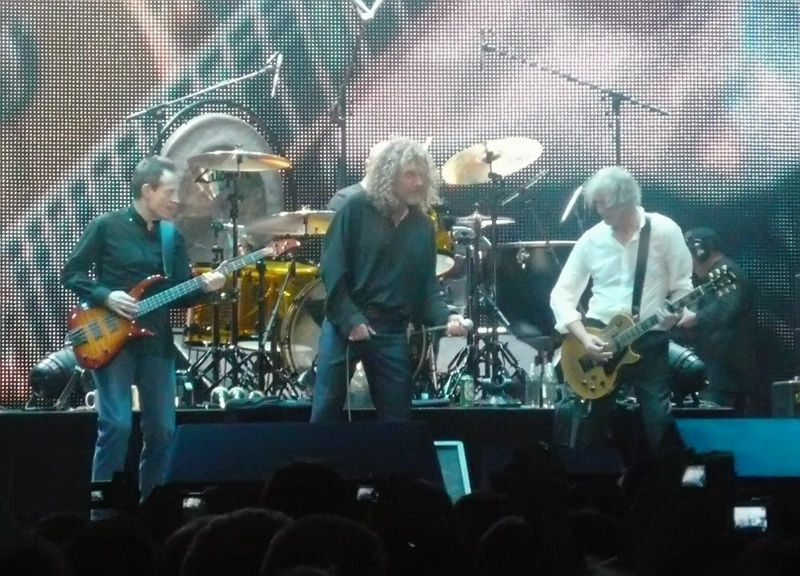 Just the idea of a possible, potential Led Zeppelin tour seems uplifting. Here’s hoping they will regroup and take us there, albeit in a lower key. Geoff Moore has had his share of good times and bad times in Calgary as a writer of books. His newest novel Duke Street Kings is out now. CORRECTION: Like Bowie’s new record, Duke Street Kings will actually BE OUT SOON. As soon as it is, I’ll re-link to where you can buy it.